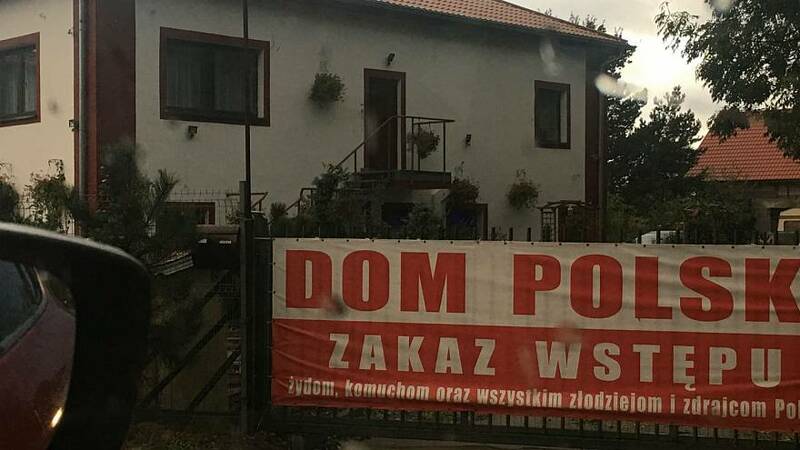 An anti-Semitic banner that hung outside a hotel in the small town of Cesarzowice, Poland, has been seized by local police after drawing ire from social media. Polish media said the hotel is linked to Piotr Rybak, a member of the far-right National Right Camp group who was sentenced to two months in prison for burning an effigy of a Jewish person in 2015. Images of the banner prompted angry comments on the hotel's Facebook page, with people blasting the hotel as "racist" and "fascist". News website wiadomosci said the hotel also received comments praising the sign. Pawel Petrykowski, of Lower Silesian police, said the banner was taken down at the request of the prosecutor's office. Cesarzowice Police and the Dom Polski hotel did not immediately respond to Euronews' request for comment.